The famous daily-deal coupon Web site Groupon has been the subject of intense takeover pressure from Internet giant Google—but Groupon has apparently walked away from negotiations, reportedly leaving an offer of as much as $6 billion on the table. Instead, Groupon is considering going public on its own, with plans for an IPO to be worked out early next year. Neither Google nor Groupon have commented publicly on the negotiations. However, reports in BusinessWeek and other outlets cite persons “close to the talks” indicate that while Groupon’s founders were somewhat divided over turning down the $6 billion offer (including substantial executive compensation), Groupon founder, CEO, and largest shareholder Andrew Mason was concerned about how a takeover would impact relationships with merchants and employees, as well as how a takeover would change Groupon’s strategic direction. For, the founders seem to have decided to keep ahold of their business—and 35 million Web users—to themselves and keep going on their own. However, industry watchers note that Groupon is still a likely acquisition target, and Google may well come back to Groupon with a sweetened deal or other terms that make an acquisition more palatable. Google’s interest in Groupon stems from its desire to be a bigger player in the local advertising market, which is estimated to account for more than $130 billion per year in the United States. Local advertising also ties in deeply with Google’s emphasis on location-aware services, particular for mobile devices. If the Groupon deal were to go through at a figure near $6 billion, the deal would mark Google’s largest acquisition to date. Google paid about $3.2 billion to take over online advertising and metrics firm DoubleClick back in 2007; back in 2006, most of the technology industry though Google was nuts for paying $1.65 billion to take over YouTube. However, Google easily has the cash: the company has over $33 billion in cash and market-ready security onhand. The reports of escalating takeover prices for Groupon have sparked discussion of whether the business is over-valued, and might represent a return of “irrational exuberance” in the technology sector that led to the dot-com bust a decade ago—Groupon was evaluated as being worth about $1.3 billion earlier this year. Consumer advocates have also raised concerns that if Google were to integrate Groupon with Google Search, it might become impossible for competitors to gain traction in a daily-deals market. Groupon is an undeniable success in the online business world: founded in 2008, Groupon operates in more than 300 global markets and boasts some 35 million users attracted to offers to significant discounts on everything from standard retail merchandise to spa treatments and specialty services. 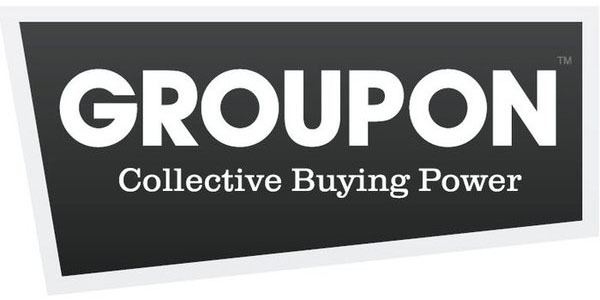 Groupon earns money by keeping part of the revenue raised via the coupon offers.